CHARLOTTESVILLE, VA – The Miller Organization LLC added to its real estate portfolio with two purchases on The Charlottesville Downtown Mall, the company announced on Friday, January 20. The Miller Organization closed a deal with Dr. John Pfaltz (Emeritus Professor of Computer Science at the University of Virginia) to purchase three offices on the second floor of The Maclin Building, an iconic mixed use building located downtown on Market Street. The company also finalized a transaction with Dr. Trice Taylor, DDS to purchase his dental office, which is located on the first floor of The Maclin Building. The Miller Organization now owns more than 11,000+ square feet of commercial and residential real estate across Charlottesville and Albemarle County, VA, including nearly 5,000 square feet in The Maclin Building. Jerry Miller was elected president of The Maclin Building Owners Association in 2016 and 2017 after serving as vice president in 2015. 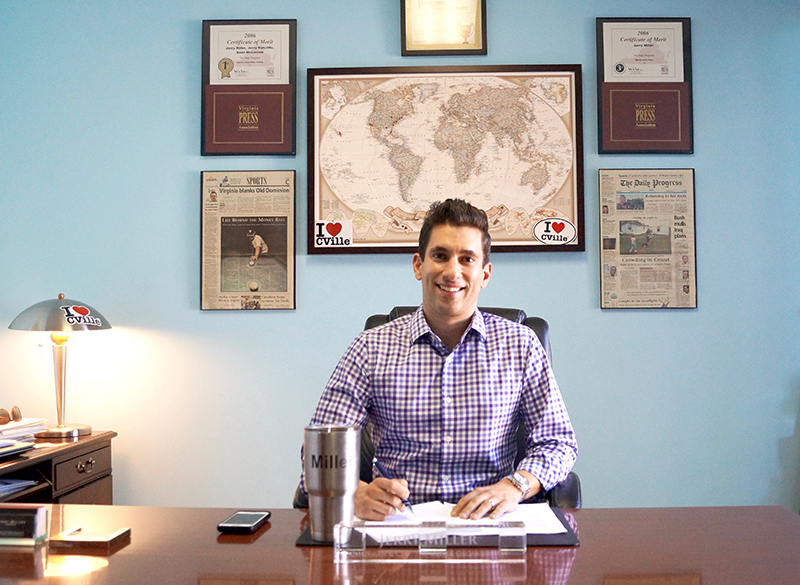 I Love CVille Real Estate LLC, the real estate division within The Miller Organization, manages the 11,000+ square feet, including the 23 tenants who rent space. Some of the renters include: The Epiphany Center LLC; Joseph & Mische PC (law firm); Splaun Psychotherapy PLLC; Dr. Benegal S. Paige, DDS; Folk Hero Films LLC and The Center For Mind, Body & Health PLLC. 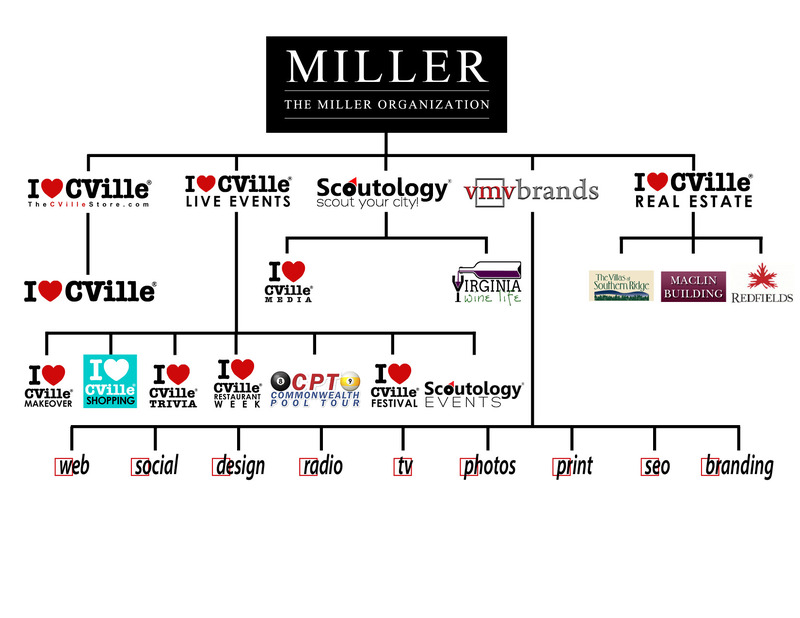 The Miller Organization is the parent company of I Love CVille, Scoutology.com, CVille Food, VMV Brands, TheCVilleStore.com and CVille Photo & Video. Miller, an award-winning journalist, who was previously a syndicated TV and radio personality, founded the company out of his home in May, 2008 at the peak of the economic recession. Today, The Miller Organization and its five vertically-integrated divisions (see Family Tree) have established themselves as one of the top full-service advertising and digital marketing agencies in the Mid-Atlantic.